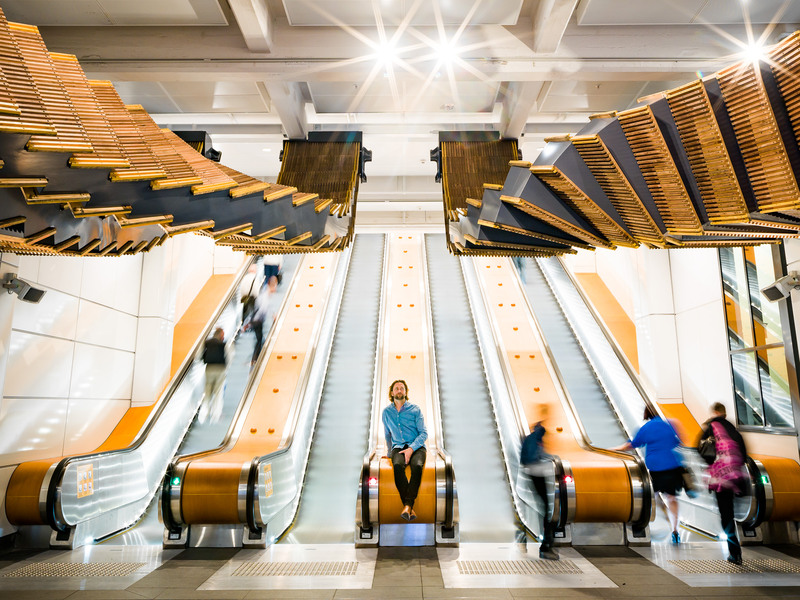 Chris Fox with his work 'Interloop' at Wynyard Station. Photography by Josh Raymond. 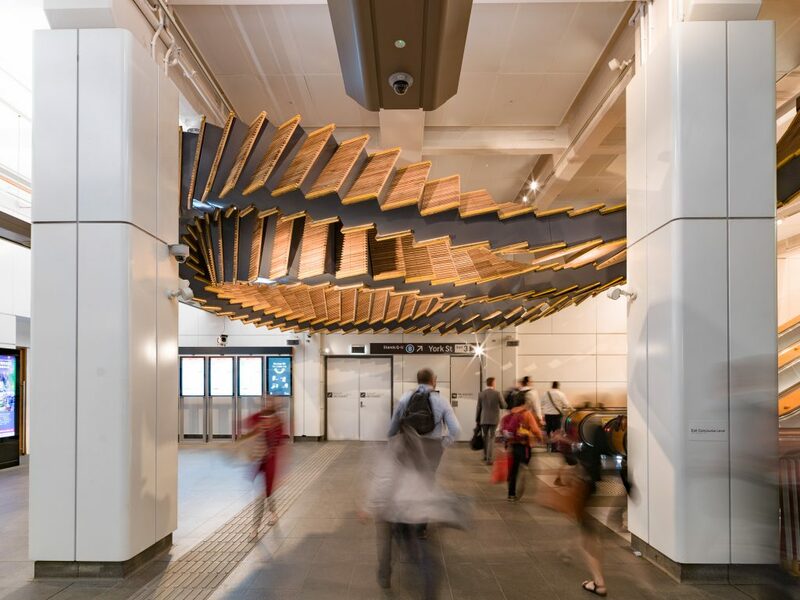 Australian contemporary artist and sculptor Chris Fox has unveiled a major site specific installation suspended from the ceiling above a bank of escalators inside Wynyard Station in Sydney’s CBD. 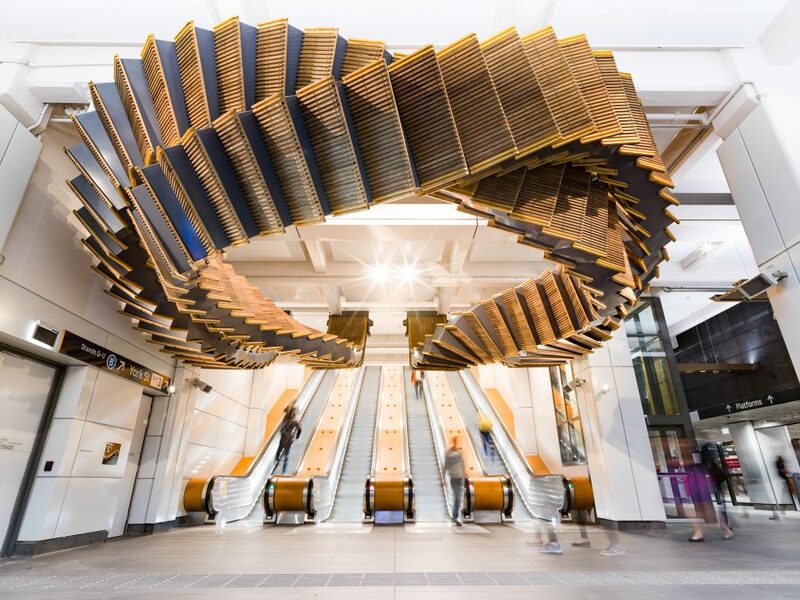 The work, titled Interloop, is a hovering sculpture that loops together two pairs of reconfigured heritage escalators measuring more than 50 metres in length and incorporating 244 wooden escalator treads and four escalator combs from the historic Wynyard escalators. Taking six months to design and engineer, the sculpture took 12 weeks to fabricate with over a kilometre of welding, before an intensive 48-hour installation period. 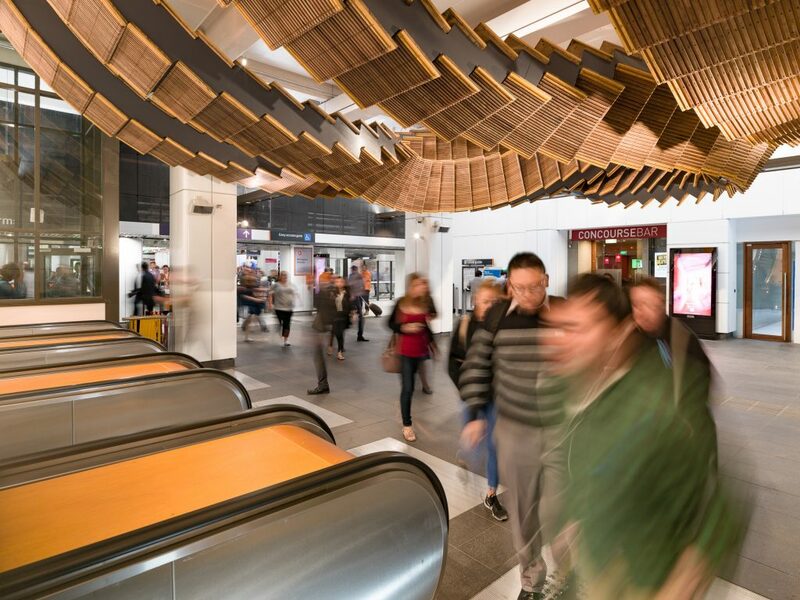 Interloop is built from high strength marine-grade aluminium and suspended via new steel beams installed into Wynyard Station. The wooden treads from the original escalators have been refastened to the accordion like aluminium surface. Chris Fox’s past works have playfully explored the technical and conceptual grammar of architecture and construction by altering sites through installation, object and drawing. 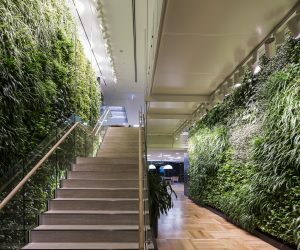 Fox has completed a Bachelor of Visual Arts and a Bachelor of Architecture both with Honours, and has recently completed a Master of Fine Arts. 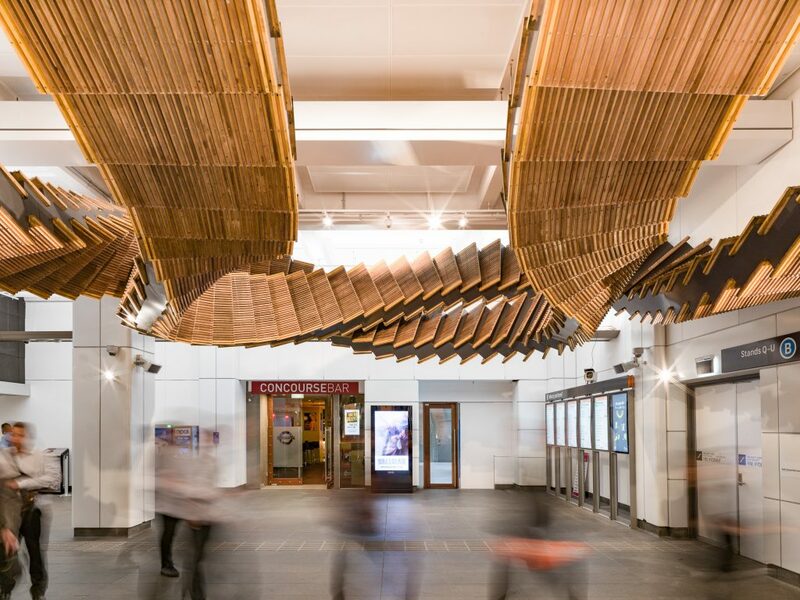 He is a senior lecturer at the University of Sydney in Art Processes and Architecture, and has been the recipient of many awards, grants and residencies. 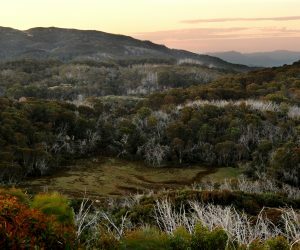 Fox has exhibited in numerous solo, group and collaborative exhibitions in Australia, the USA and Europe, with an established sculptural practice of large scale public and private commissioned artworks.